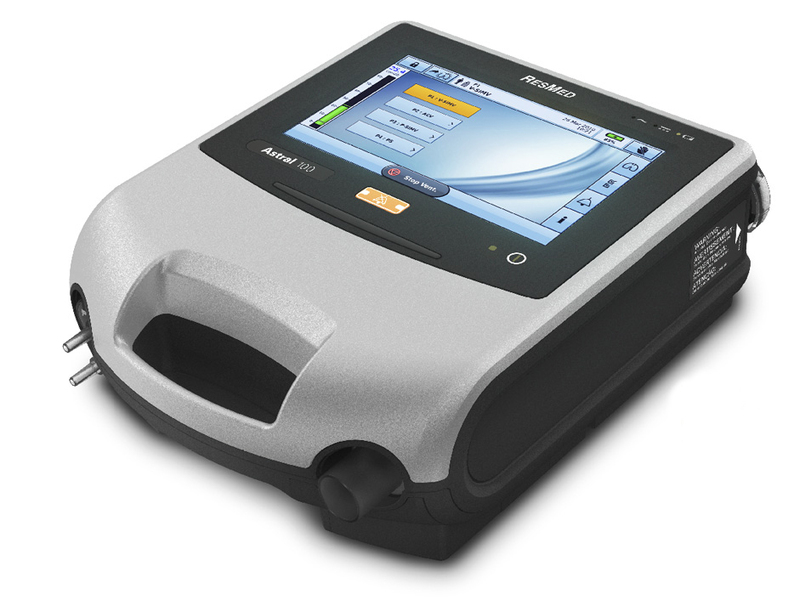 The ResMed Astral 100 offers a range of treatment options for both adult and pediatric patients with both invasive and noninvasive life support ventilation. The lightweight design allows the patient the ability to move around their healthcare environment. Easy setup and simple service with an intuitive design makes this a great choice for a portable ventilator.